Discussions are a way to gather feedback, questions and ideas on a given topic from employees across your organization. Organizers set the topic, decide who to invite and choose a start and end date. While the Discussion is running, participants share input, vote items up or down and add comments. Once it ends, the organizer archives the input, and it can be accessed anytime. Looking for more inspiration? Click here to see more Discussion topic examples. Decide on a topic - Once you know what kind of input you want, write a short description that clearly outlines what you’re looking for and how the input will be used (read more about how to write a good description here). Choose a start and end date - if you’re running your Discussion for longer than a week, make sure you have a plan for maintaining engagement while the Discussion is live. 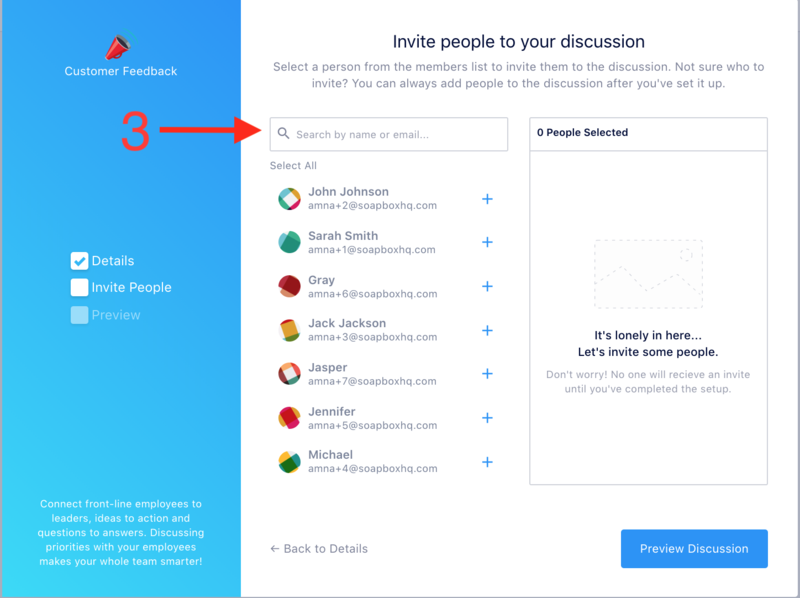 Invite people - anyone who’s *invited will get an email from SoapBox with a link to the Discussion. If they don’t have a SoapBox account yet, they’ll be prompted to create one before they can access the Discussion. *Discussions are a paid feature and the fee is based on the number of users. Click here to read more about our payment options, or start a conversation with us in the chat bubble at the bottom left 👇. Click here to see all our best practices. To access a Discussion, click on the title in the left side bar. 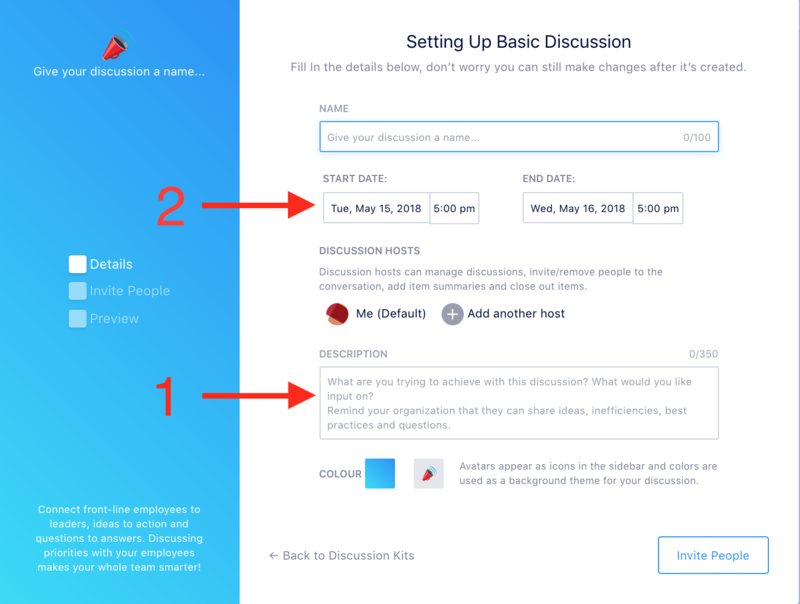 This will open the Discussion modal in your SoapBox, where you’ll be able to share input, vote, and add comments. Log in often. Discussions run for as long or short a period as they organizer would like. Depending on how long your Discussion is, try to check back at least once a day or every other day to see what’s been added. Share! Add at least 1-3 items to a Discussion so you can be sure your voice is heard. And, if you’ve got extra context to share about someone else’s input, or if it sparks another idea, add your thoughts as comments on the item. Exercise your right to vote. Voting lets the organizer know which items are the most popular or pressing, and helps them prioritize which ones to answer or bring to life. Don’t let the things you’re passionate about get left behind! Vote on the things you think matter most to the issue at hand. Still got questions? Check out our FAQ or get in touch by clicking the chat bubble below.